This course builds directly on from our previous course – so it’s not a huge leap, and more often than not a lot of the people will have come straight from our Level One. 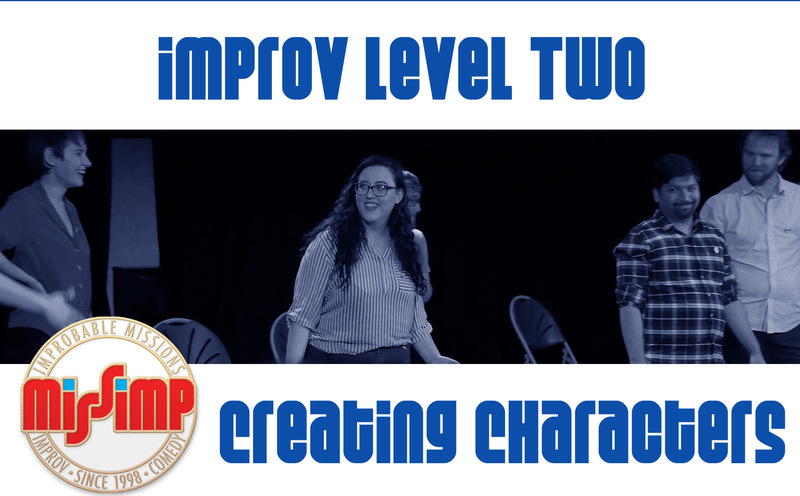 We focus on one of the things people find most fun about our intro to improv course (and doing improv in general) – creating characters! One of the many things that we love about improv is that we are not bound by who we are in the “real world”. From scene to scene we might play pirates or astronauts, lovers or politicians, race-car drivers or inanimate objects – with a supportive scene partner by your side, the scope is limitless! We then work on how we can use characters to help power our scenes and even entire long-form shows, simply by finding what’s fun about the people you’re playing! All in all, a really fun 6 weeks of improv learning! Improv (or impro) is short for improvised comedy theatre. It's the art of creating theatre spontaneously on stage: building scenes, playing games, and even creating whole shows with no preparation, no script, and no preplanning. Improv has a wide range of types, from popular 90s TV show Whose Line is it Anyway? -style games, to fully improvised plays, musicals, and so much more. MissImp are one of the longest running open-to-all improv communities in the country, and have been providing high quality improv (both performance and tuition) for 20 years. Every Monday evening from 28th January - 4th March 2019. Scholarships are available – more info and how to apply. If you've got any queries about the course, please drop us a line at contact@missimp.co.uk before booking your place. Note that all bookings include a non-refundable booking fee, and refunds for cancellations are at MissImp's discretion.